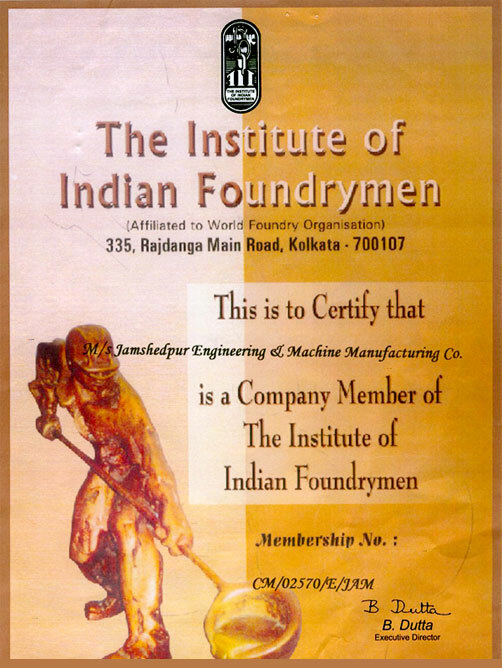 JEMCO is the member of The Institute of Indian Foundrymen, Eastern Region since 2010. 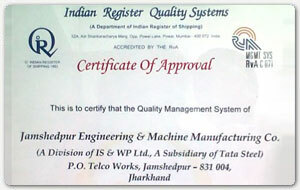 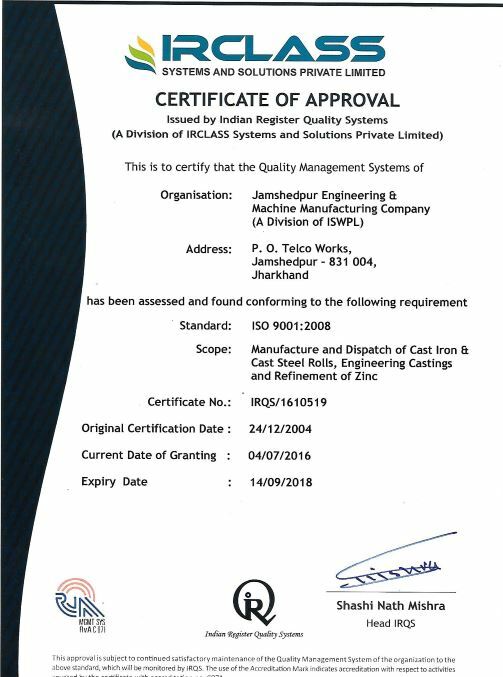 ISO 9001:2008 certification for established Quality Management System at JEMCO Division of IS & WP for manufacture and supply of Cast Iron & Cast Steel rolls and Ferrous Castings. 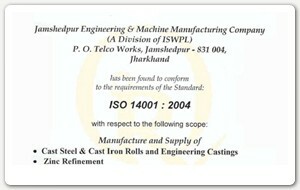 The plant was accredited with certificate in 2004. 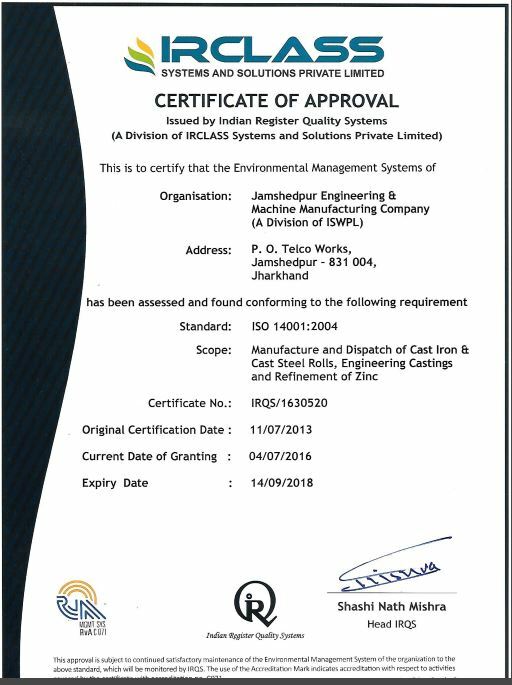 ISO 14001.2004 certification for established Environmental Management System at JEMCO Division of ISWP for manufacture and supply of Cast Iron & Cast Steel rolls, Engineering Castings and Zinc Refinement. 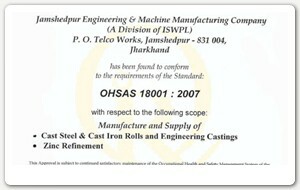 The plant was accredited with certificate in 2013. OHSAS 18001:2007 certification for established Occupational Health & Safety Management System at JEMCO Division of ISWP for manufacture and supply of Cast Iron & Cast Steel Rolls , Engineering Castings and Zinc Refinement. 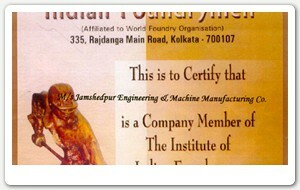 The plant was accredited with certificate in 2013.